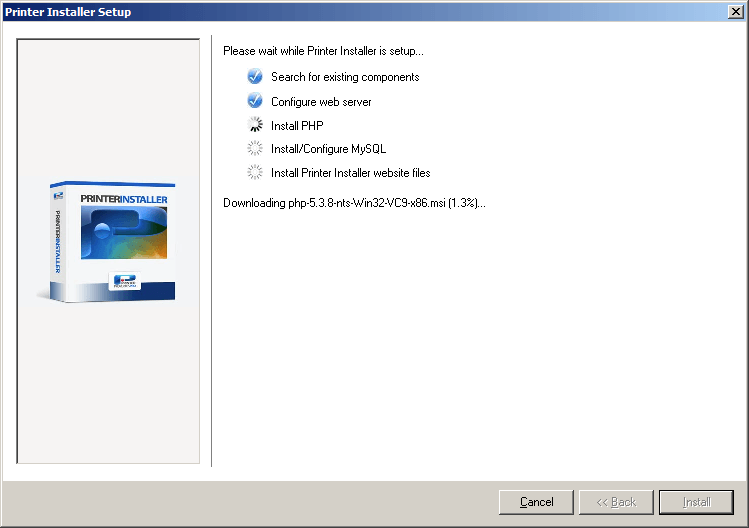 Download a trial version of Printer Installer by filling out the form here. Click the download link sent by email and then select save, and save the file. From a Windows 2008 (x86, x64, or R2) server run the file. 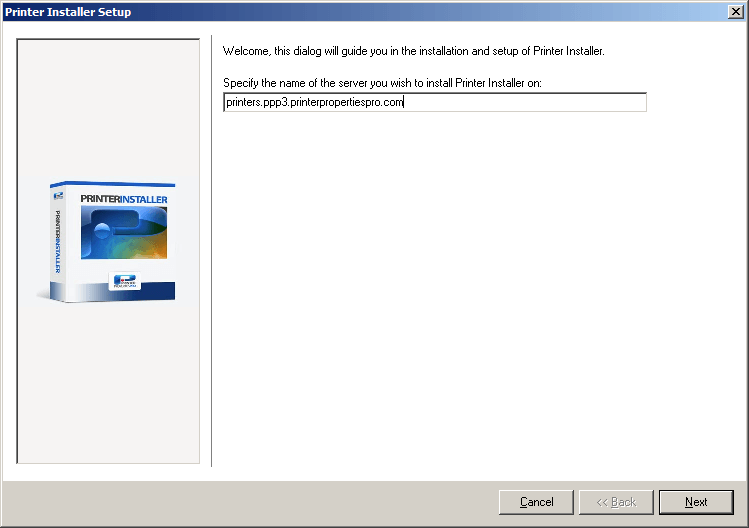 The Printer Installer Setup dialog will open. Click Next. The setup progress dialog will be shown. After the setup has completed the setup completion dialog will be shown. Un-check the option and click Close. Create a DNS A record and have the DNS record reference the Printer Installer host server's IP address. This record will be used for accessing the application (example: printers.domain.com). Note: It is important to use a different URL than the Printer Installer host server's URL to allow you the ability to change the DNS record and redirect users to a Printer Installer backup server in the event of a primary Printer Installer server failure. See the section on Redundancy in the User's Guide for more information. 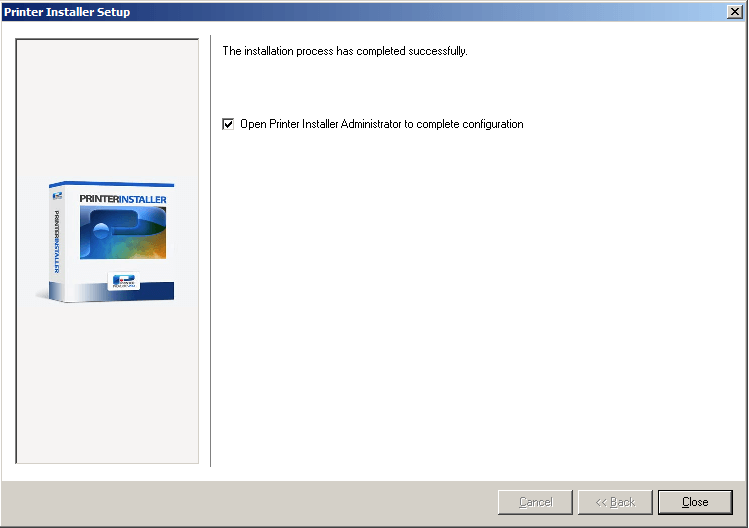 Open a browser and enter the Printer Installer URL that you created in step 4 with the "/admin" extension to access the Printer Installer Administrator login (Example: http://printers.domain.com/admin). The initial login dialog will be shown. 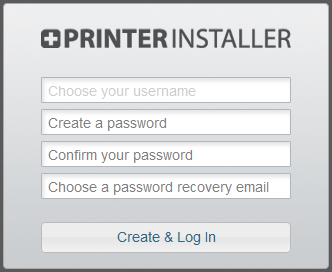 Enter the username, password, and password recovery email that you want to use as the root account for logging into the Printer Installer Administrator and then click Login. If you have a purchased license, copy it to C:\inetpub\wwwroot\. You can verify the license acceptance by logging in and selecting Tools > About Printer Installer, and reviewing the license information. Install the Client on end user computers. 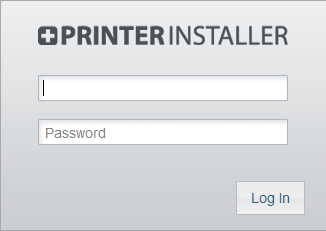 See the Printer Installer product support page for information on using Printer Installer.